Sen. Ted Cruz, R-Texas, was interrupted five times during his address at the Values Voter Summit in Washington, D.C. Friday, a conference of social conservative voters, officials and activists. At least some of the interruptions came from immigration reform activists, the first shouting to Cruz about when the senator will support a path to citizenship for undocumented immigrants. Cruz countered the hecklers by acknowledging their First Amendment right to freedom of speech. As the interruptions continued, he began to insinuate that the hecklers were sent by President Obama. At one point he wondered whether there was anyone left at the Organizing for America headquarters. 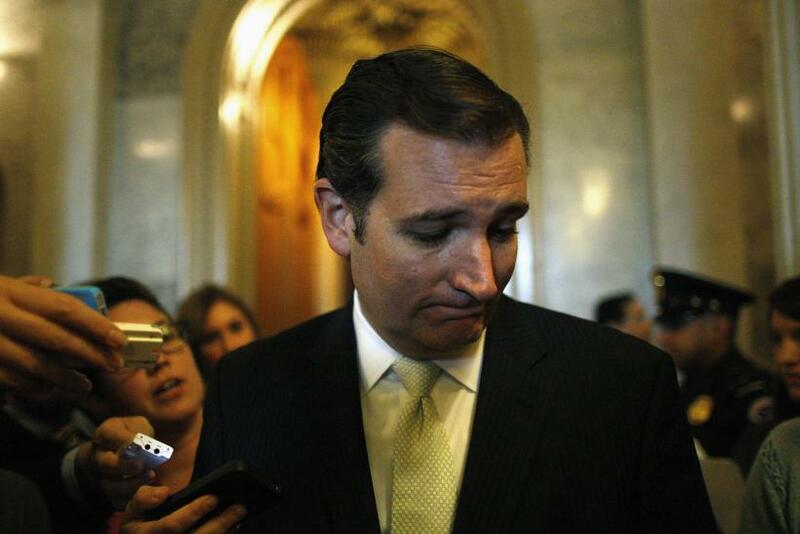 The true believers at the conference were angry that Cruz was being interrupted. “Shut up! Shut up! Shut up!” one woman screamed at the hecklers. At another point, as a group of protesters were leaving the hall at the Washington, D.C., hotel ballroom where Cruz was speaking, the room began to chant “USA! USA!” and the audience rose to its feet. In his speech, Cruz defended his fight against the health care reform law that has led to the current government shutdown and urged the House of Representatives to “keep doing what it's doing, which is standing strong."